I have always loved Christmas Morning! The thrill of waking up and running downstairs to see piles of presents under the tree! Growing up we would open presents while watching Christmas movies or the Christmas parade on television! We were allowed to eat dessert for breakfast - usually left over cheesecake from Christmas Eve! When I had Lacie, I knew I wanted to start a Christmas Morning tradition that would last through her childhood! That is why for her first Christmas (2011) I decided to start a waffle breakfast tradition! 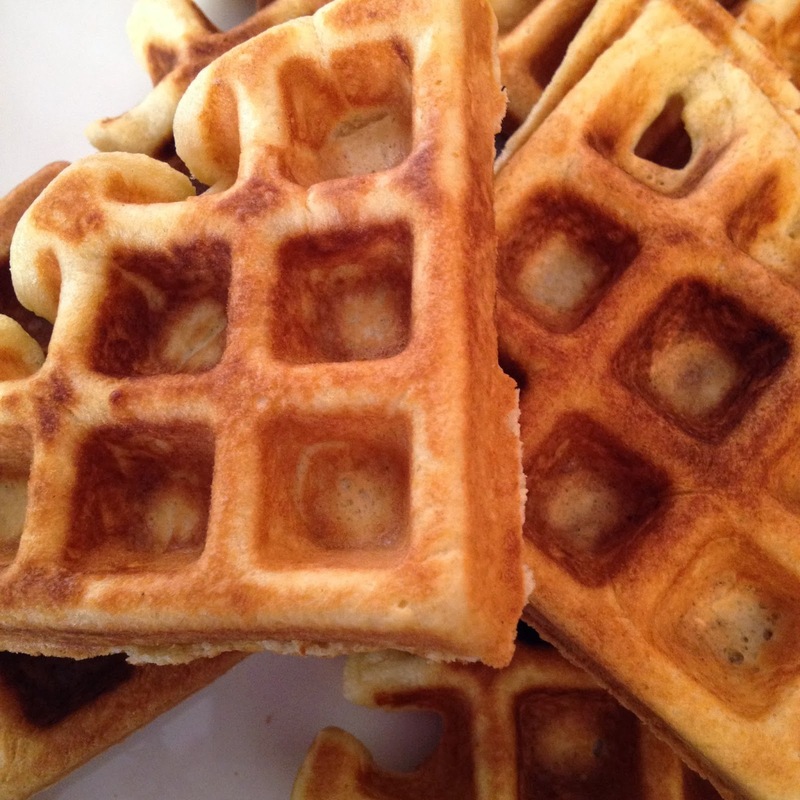 I make the waffles in my round Belgian Waffle Maker! Then, I set up a toppings bar so that everyone can make their own waffle. I put out the standard butter and real maple syrup. Then, I also put out fresh fruit (usually sliced bananas and strawberries), homemade whipped cream, powdered sugar, ice cream, and mini chocolate chips. If no one in your family has nut allergies, you can also put out nuts like pecans and walnuts! 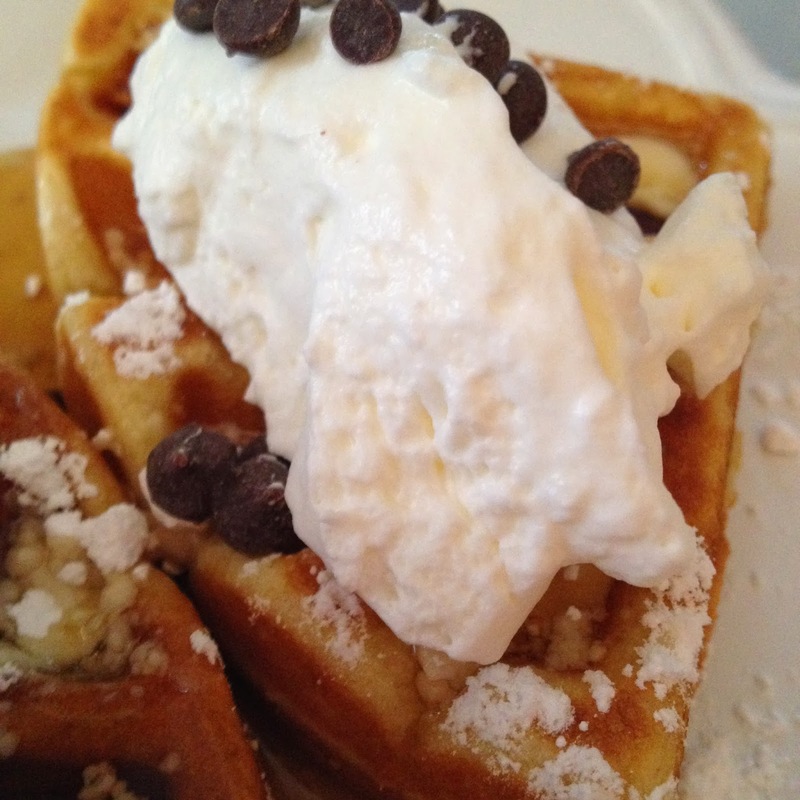 We enjoyed these waffles so much on Christmas, that the girls have requested them a few times since! I may be changing up our Saturday morning tradition of Whole Wheat Chocolate Chip Pancakes from time to time so that we can enjoy these more than once a year! Add the beaten eggs, milk, melted butter, and vanilla extract to your dry mixture and whisk until just combined - do not over mix! The batter will be thick! 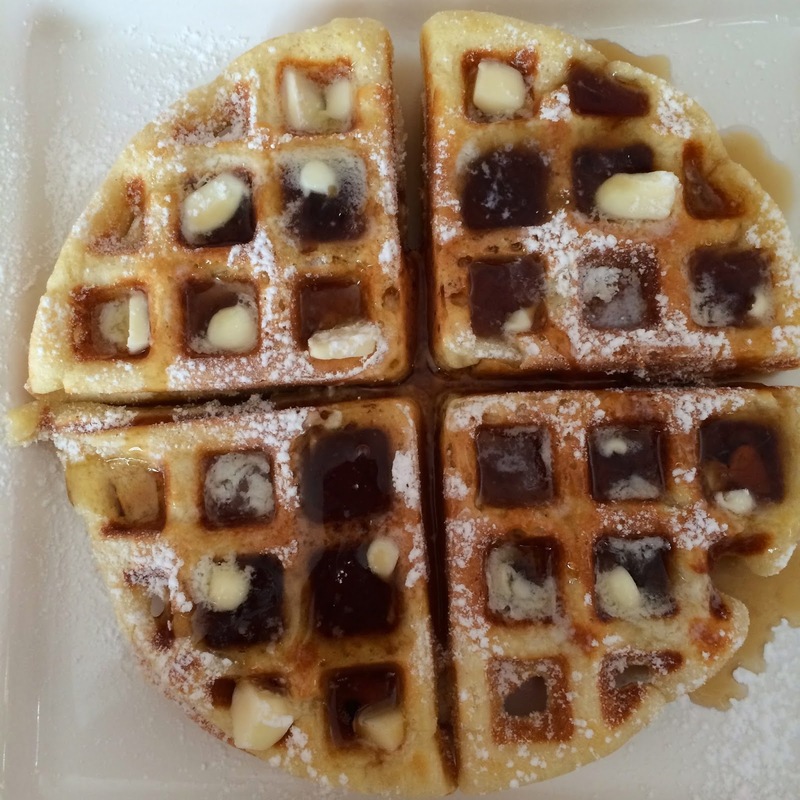 This recipe will make 3 large, round belgian waffles in my specific waffle maker. My exact waffle maker is no longer available, but this one is the most similar!